Ravioli Radio Remote Controls – Ravioli S.p.A. 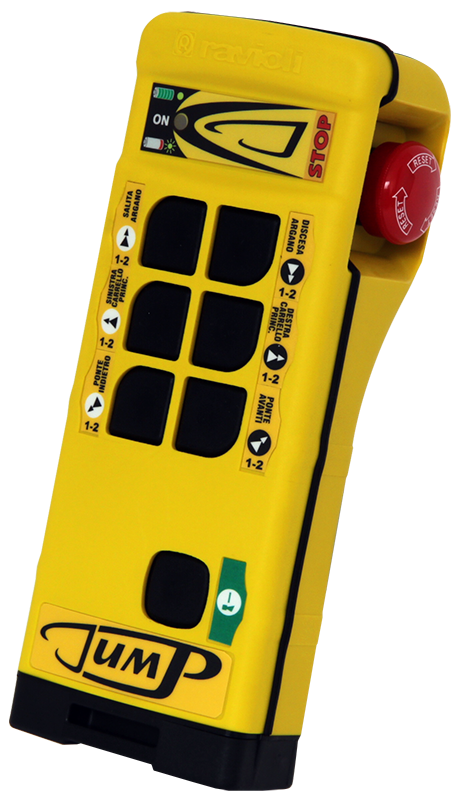 Ideal for different fields of application, such as cranes, EOT cranes and other industrial lifting machines, Ravioli Safety Radio Remote Controls are extremely reliable, safe and versatile. J Series is composed by a push-button version Jump and a joystick version n-Joy. Jump comes in versions with 7-10-14 buttons. 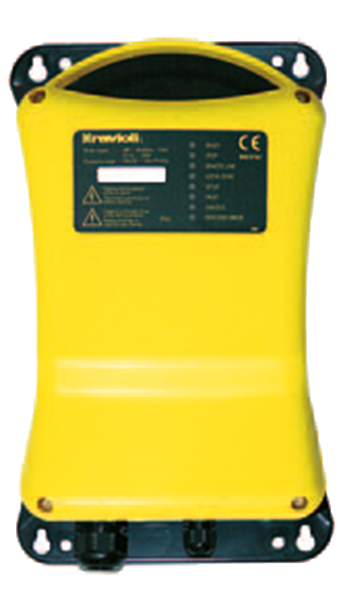 An additional button or an optional lateral switch as well as other customised options are available upon request. 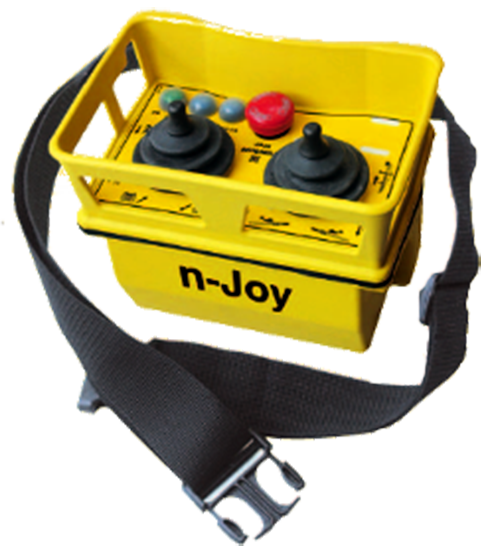 n-Joy is characterised by up to 4 axis and personalised with push-buttons and auxiliary switches. 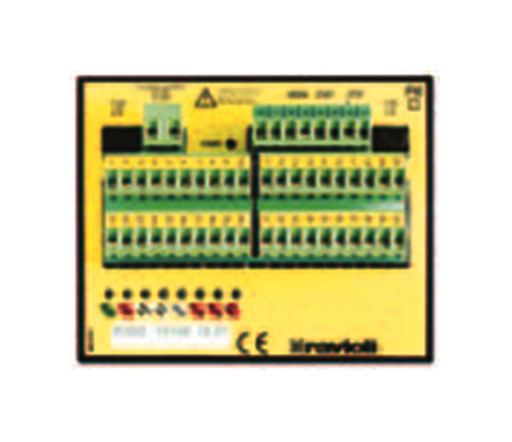 Sturdy, ergonomic, reliable and safe, both Jump and n-Joy operates with the same batteries, better chargers and receivers, which can be provided for outdoor or indoor applications, with control boards on DIN rails. 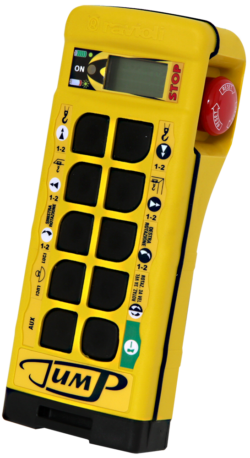 The optional display and other additional available functions – such as data/feedback, master/slave or take/release – allow the high personalisation of Ravioli Jump and n-Joy Radio Remote Controls.